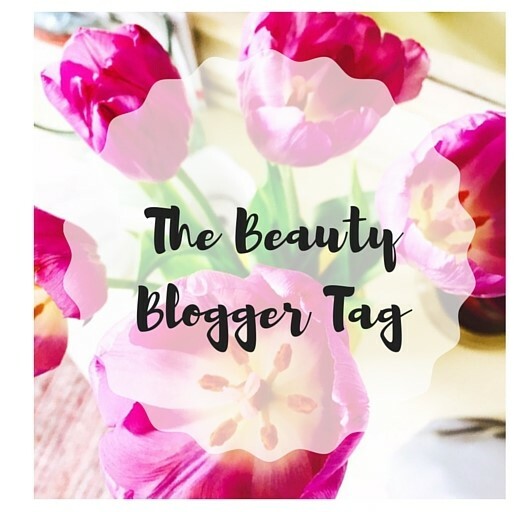 So a little while back, I got nominated for The Beauty Blogger Tag by the lovely Rikki from A Mix Of Rikki and the fabulous Naddy from Just Miss Naddy, so thank you girls - I love a good old tag! Be sure to check out their blogs, they are both so fab! I'd also just like to quickly apologise that I haven't posted in a little while - I've been so busy and had so much going on. I promise a Life Update is coming soon! 1. Tag and thank the person who nominated you. 5. Tell the bloggers that you have nominated them! 1. What is one beauty purchase you regret? Umm, probably any foundation which was 3x darker than my skin but looked perfect in the shop! I had a blog when I was really young in the Myspace days, which I sort of kept on the down low to vent my hormonal, emo feelings.. lolz. Then last year, I started seeing some people start up blogs and I knew that was something I really wanted to get back into (seriously this time!) I also liked the idea of making a little diary to look back on, share life experiences that could potentially help someone and obviously share my addiction for makeup! 3, Were you always in to beauty/ fashion? Obviously I dabbled in Dream Matte Mousse and foundation lips like every other girl in 2005, however I never really knew what half the products on the shelves even did. It's only when I became more self conscious of my looks that I started to dabble with other things and become more adventurous. Since then, I've never looked back! 4, What is one food you can't live without? 5, How long does it take you to get ready in the morning? If I'm going to work, then probably around 20 minutes as I wear very minimal make up. At weekends or if I'm going out somewhere, then about 30 minutes depending on how good my eyeliner skills are! 6, What is your least favorite part about makeup? Trying to perfect those damn eyeliner wings! OMG, they are so hard, time consuming and can ruin your makeup in seconds if your hand slips. I'm sure I have weird creasy eyes though so they are normally terrible haha! 7, What is your favorite part of your morning routine? Hiding those under eye bags. So satisfying! 8, Do you have a product you can't live without? 9, If you had to name your child after a beauty product what would it be? 10, What is one thing you wish you knew before starting a blog? A decent layout really helps. Things don't always spark as much interest as quickly as a facebook status would. Trial and error is a big thing and don't be disheartened if something doesn't take off the way you want it to. 3. If you could create your own product, what would it be? 4. What would you say is your best make up skill? 5. What is the worst beauty product you've ever used? 6. Do you do your own brows or get someone else to take care of them? 8. What makeup product do you always repurchase? 9. If you could have your makeup/hair done like any Disney Princess, who would you be? 10. Why do you love blogging? ..and anyone else who wants to get involved!